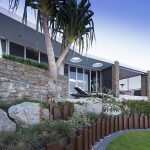 With an overgrown and barely useable backyard that hid its potential, these clients had one man in mind when it came to transforming their outdoors – Noel Brown from multi award-winning landscape company, Bioscapes. 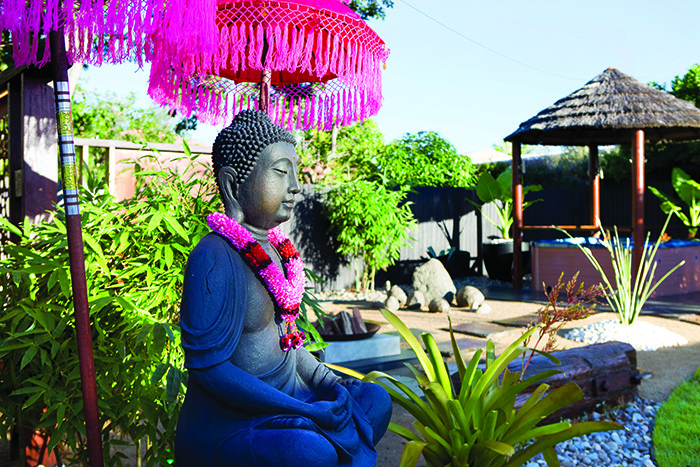 From the spa in the rear corner that was never used to the old clothesline stuck in the middle of the patchy lawn, the yard was pretty typical of many Queensland homes that haven’t yet reached their full potential. 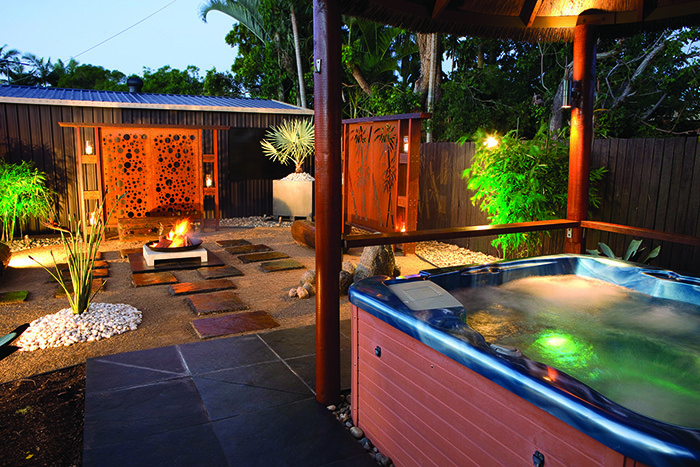 A perfect location in Wellington Point begs for an equally perfect home, though, inside and out. And that’s where landscape designer Noel Brown from Bioscapes came in. 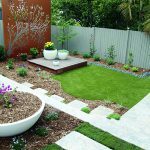 “After an initial consultation, I quickly learned that while the yard was of a reasonable size, it was very overgrown. Apparently, my clients only ventured into the backyard to hang the washing out!” recalls Noel of the first stage of this grand plan. 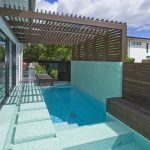 The clients didn’t want a pool installed, but they did want to create a space that could be used throughout the year. Handcrafted hardwood posts with niches for subtle lighting where built with beveled hardwood caps to give that Asian feel. 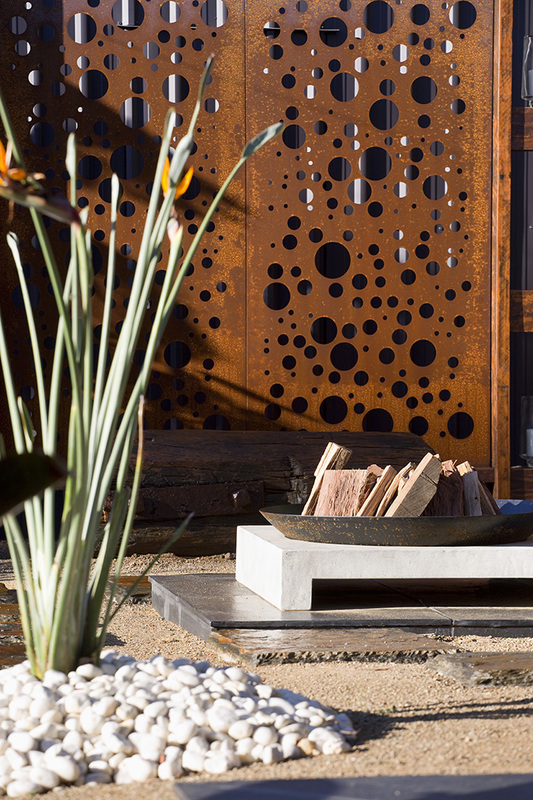 Coreten laser cut panels were then fitted, giving some scale and providing a nice backdrop to the fire pit area. Rustic seating installed byways of recycled Brisbane wharf posts were sanded and polished, breathing new life into the old timber. 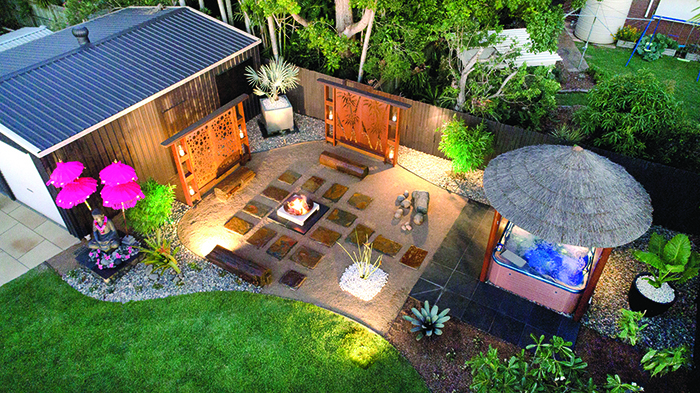 Noel and the Bioscapes team laid random square slabs of slate around the fire pit for access, with decomposed granite used as an infill. 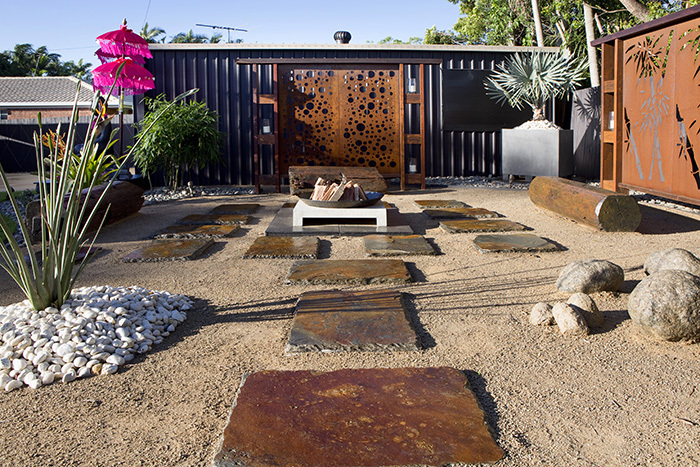 A stone plinth, cladded with Australian black granite and complete with a black Zen stone tiled top, was manufactured on site. 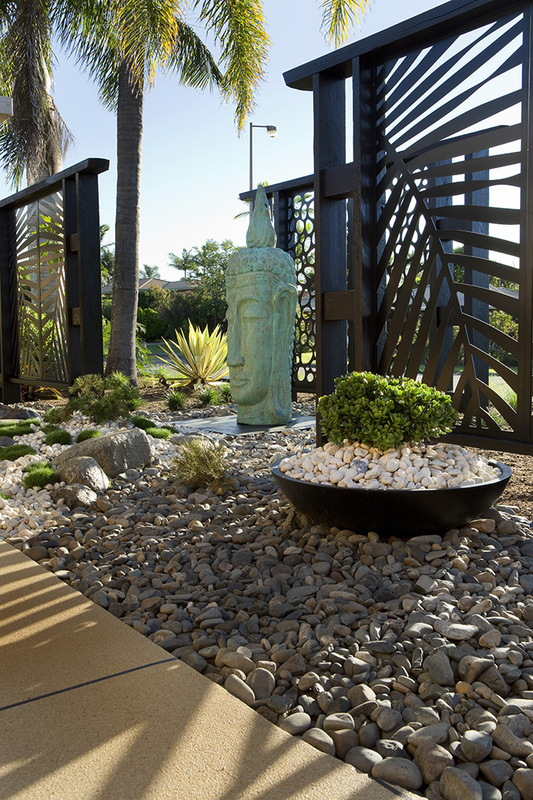 It creates a focal point and a sturdy base for the large Buddha statue, which gazes serenely over the space. 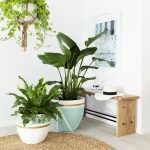 Minimalistic planting, with less being more, in this case, is refreshing and new – with the added benefit of being low maintenance. 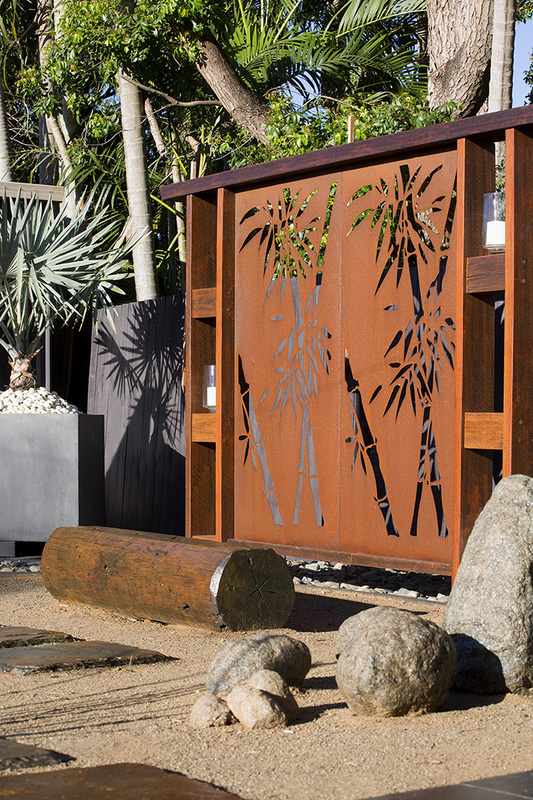 Similar concepts were adopted in the front yard to continue the Asian theme with a beautiful Hoobler stone wall feature for the property’s front boundary, with a chunky hardwood timber cap and an integrated mailbox, all custom made on site. 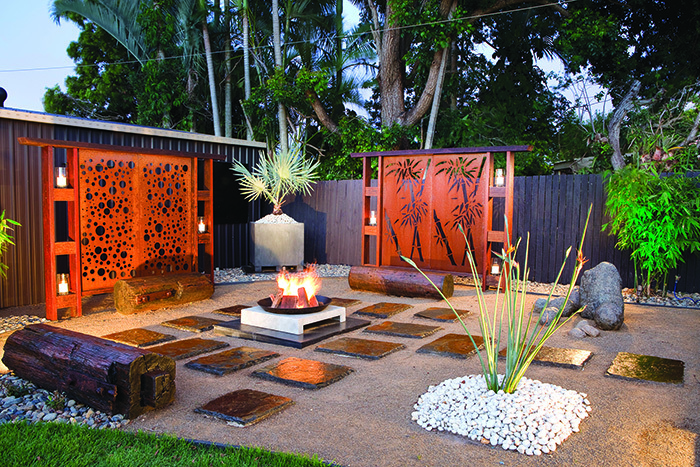 “The Asian-style feature top pulls everything together,” says Noel of the finished design.